This is a large and very attractive evergreen perennial which bears clusters of pale green flowers, often edged with purple. The attractive cup-shaped flowers, which have five green setals, are distinguished by their drooping habit and a somewhat unpleasant smell, however, much more significantly, they and every other part of this plant are poisonous - potentially deadly so if eaten in mistake for edible herbs. 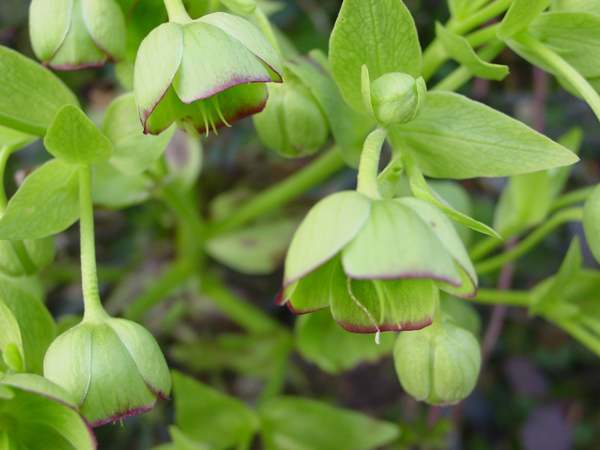 Stinking Hellebore flowers early in the year, usually during February and March. 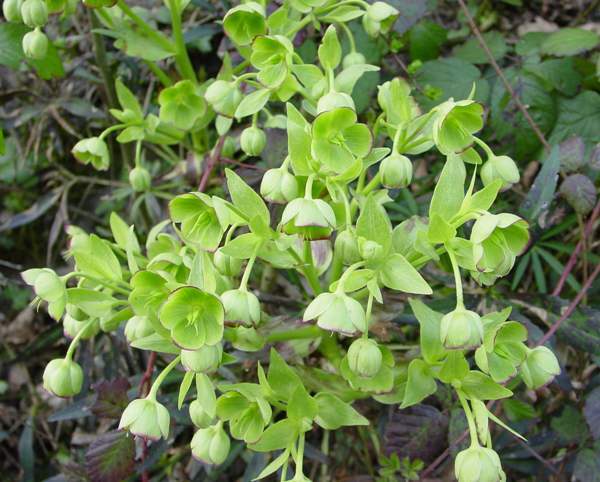 Found in hedgerows and woodlands mainly on lime, Stinking Hellebore favours shady posotions. 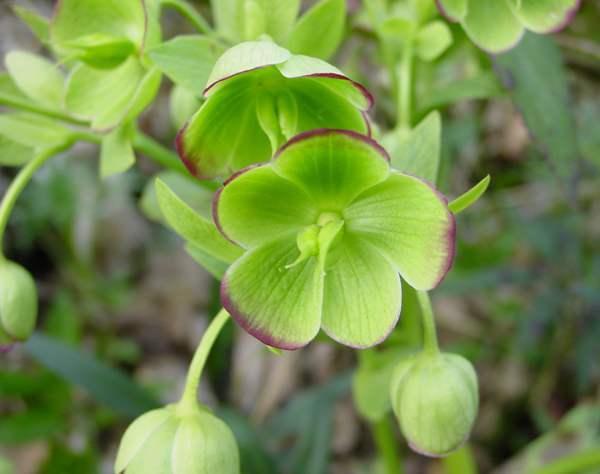 Although mostly confined to the southern parts of Britain and Ireland, Stinking Hellebore can be found throughout most of mainland Europe as far south as the Mediterranean. Despite its very pretty flowers, the plant is named after its strong and unpleasant smell, not only in its common name but also in the specific epithet foetidus, which comes from Latin and means stinking. The specimens shown here were found in mid Wales in early March.